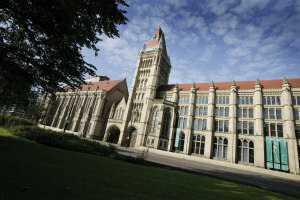 Four outstanding individuals are being honoured by The University of Manchester this evening. The world-leading quartet will be presented with Honorary Degrees by Chancellor Tom Bloxham at the University’s Whitworth Hall. Professor Julia Goodfellow was the Chief Executive of the Biotechnology and Biological Sciences Research Council (BBSRC) from 2002 until 2007. The BBSRC is the non-departmental governing body responsible for an annual research portfolio worth more than £350 million per annum, funding projects at over 100 universities. She was the first female chief of any research council. Professor Goodfellow is currently the Vice-Chancellor of the University of Kent. Dr. Ralph Kohn is a practising baritone of professional standard. Having begun his musical studies in Amsterdam with the violin, he subsequently became interested in vocal music and studied and trained in Rome, New York and London. He has given numerous recitals and performances with orchestras in the UK and abroad, and has recorded the major cycles in the Lieder repertoire. He has so far recorded 16 CDs. He is a Fellow of the Royal Academy of Music. Ralph Kohn is a pharmacologist and entrepreneur. Lord Sainsbury studied History and Psychology at Cambridge University before gaining an MBA at Columbia Business School. He joined J Sainsbury in 1963 where he served as Finance Director and Deputy Chairman before becoming Chairman in 1992. In 1998 he stepped down from his post to become Minister for Science and Innovation, a position he held until 2006. In 2003 he received, on behalf of the Sainsbury family, the Andrew Carnegie Medal for Philanthropy. Professor Sir John Sulston graduated from Cambridge. His work is chiefly on the biology of a nematode and on the sequencing of the human genome. John shared the Nobel Prize in Physiology or Medicine in 2002, and is now a visiting professor in the Institute for Science, Ethics and Innovation at Manchester.